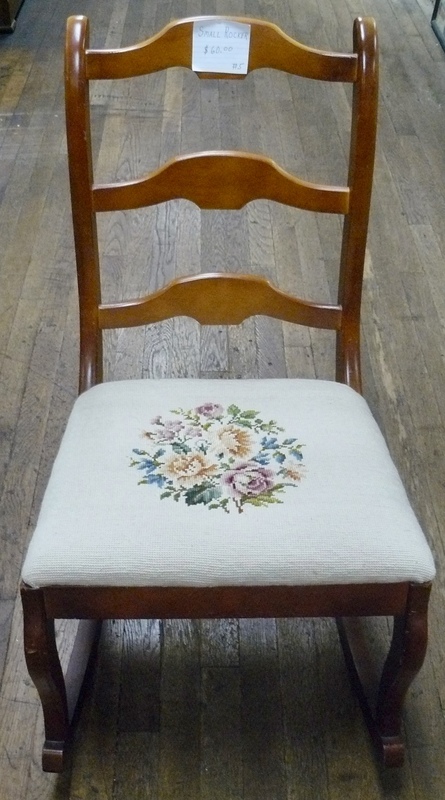 from 11 am to 2 pm for a Completely FREE Appraisal. Will Paulsen and Norman Dill are the Appraisers. 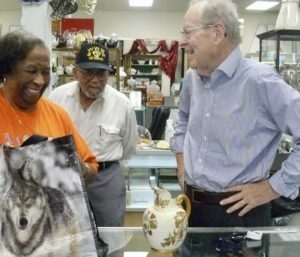 Will Paulsen, Appraiser, Shares a Light Moment with a Collector. 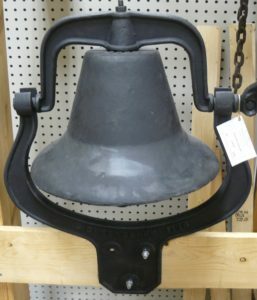 Horn Mount with Two Hornes, $85.00, Booth 111. 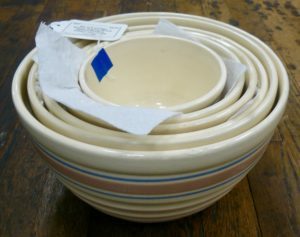 Set of Six Vintage McCoy Nesting Bowls, Ribbed Beehive Pattern, $160.00/Set. Booth 20. 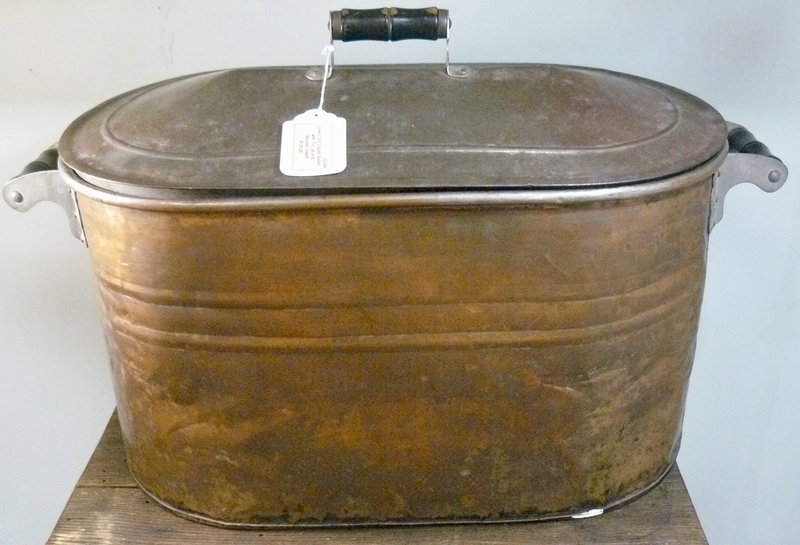 Old Copper Boiler w Tin Cover – Wood Insert Included, $125.00, Booth 20. 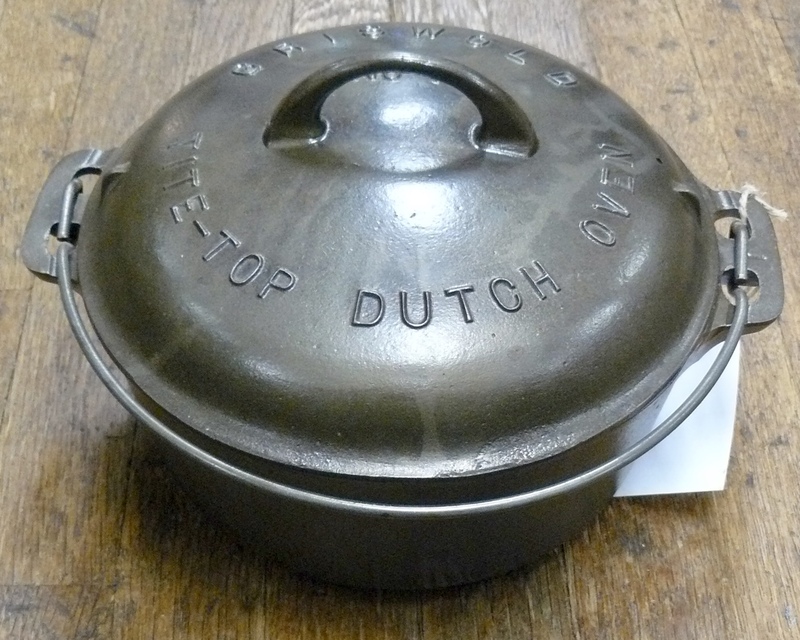 Griswold No 7 Tilt-Top Dutch Oven, $195.00 – Booth 26. Cast Iron Number 2 Dinner Bell, $295.00 – Booth 26. 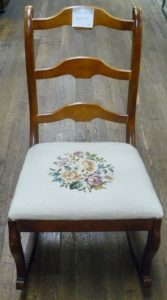 Pretty Rocker with Needle Worked Seat – $60.00, Booth 5. 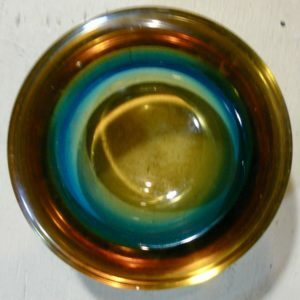 Heavy Multi-Colored Art Glass Bowl, Booth 218, $40.00. 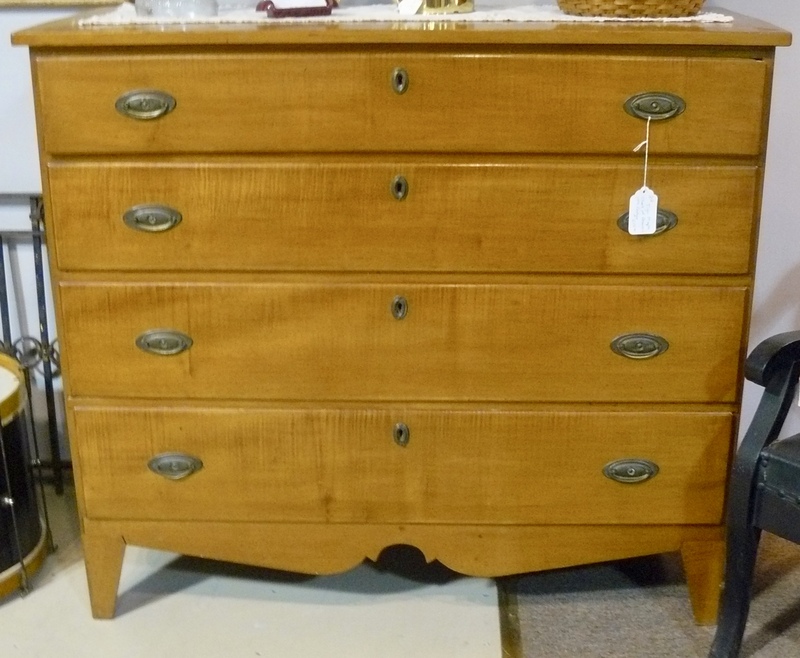 Booth 218 – Tiger Maple Chest of Drawers – Circa 19th Century, $650.00. 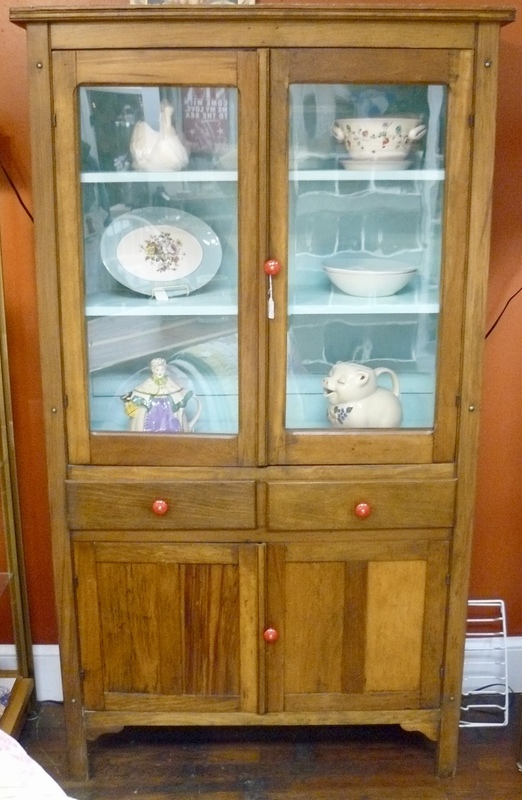 Old Pantry Cupboard with Painted Interior and Bright Red Knobs – Booth 31, $295.00. 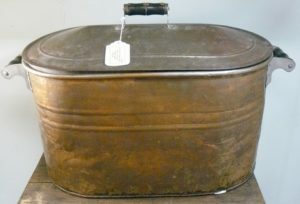 ‹ Three Sets of Metal Drawers, an Old Dough Bowl and a Chimney Cabinet!